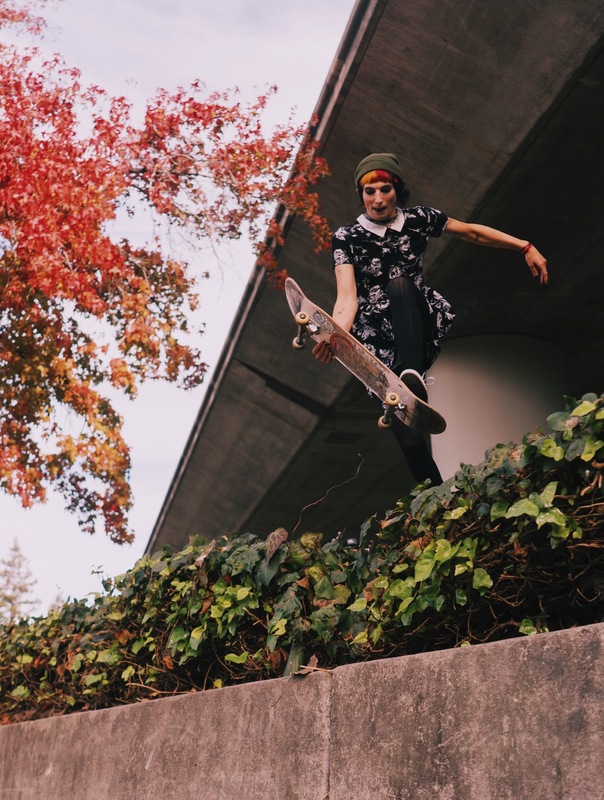 In a world gone mad, the human beings I’ve met and become friends with though Unity Skates have consistently helped put a smile on my face. 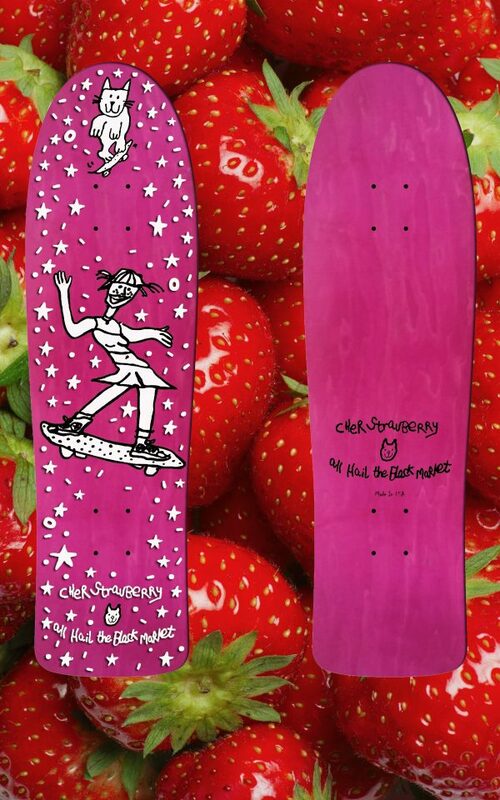 It’s in tribute to their positivity, and specifically the enigmatic figure I’ve come to know through them named Cher Strauberry that I’m releasing her own signature deck featuring artwork by the talented Olivia Gibb. Cher is a ripper, and I’m proud to be able to bring this project to fruition. Specs are 8.75″ x 31.25″, 14.25 wheelbase, and a 6.3″ nose/6.5″ tail. Grab one and gooooooo!